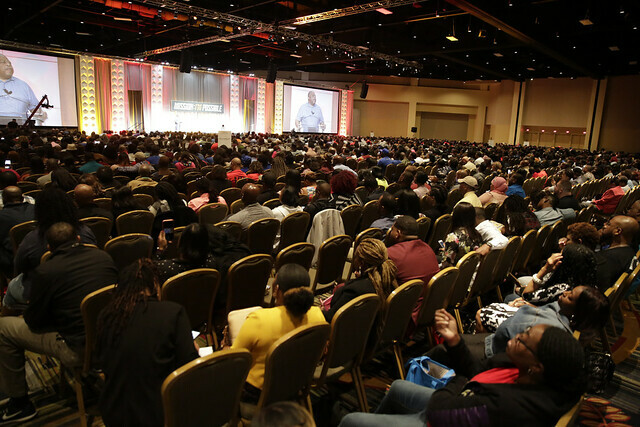 Thousands of Primerica representatives attended the 2019 African-American Leadership Council’s National Conference in Orlando, Florida, March 22-24. 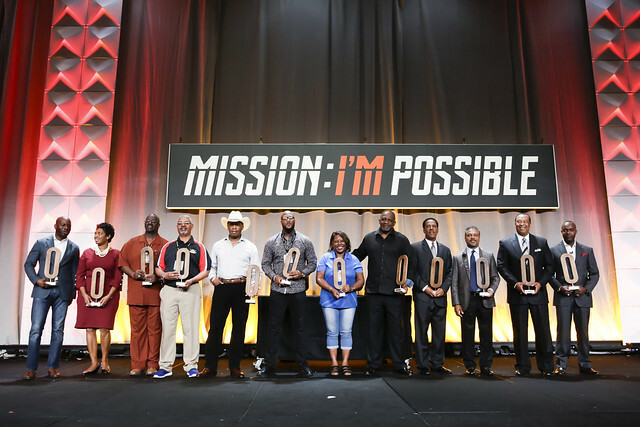 Attendees enjoyed phenomenal workshops, incredible general sessions, awesome recognition, and business-building tips shared by some of Primerica’s greatest leaders. 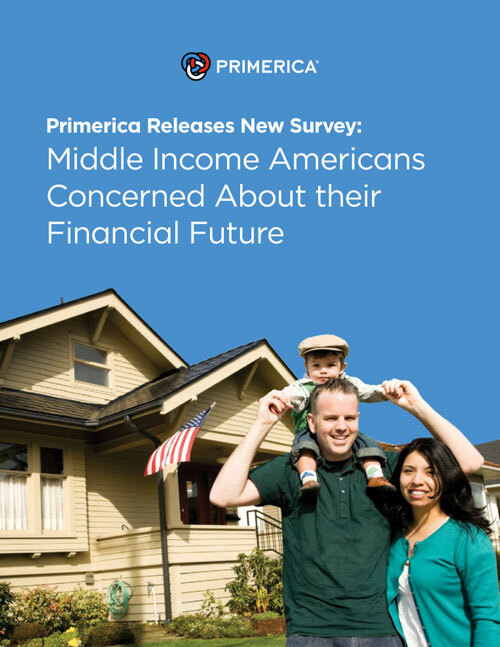 The survey, which examined 1,000 middle-income Americans with household incomes between $29,000 and $106,000, also found that half of the participants have never met with a financial professional. In a full-page ad in USA Today’s special supplement celebrating Black History Month, Primerica recognizes the positive impact our diverse representatives and the African American Leadership Council (AALC) have on communities all across North America. Our leaders – YOU – demonstrate leadership, strength, and a commitment to others every day, that changes lives in a profound way. Check your local newsstand to buy your copy and share the power of what we do for families with your friends, family, clients and prospects! 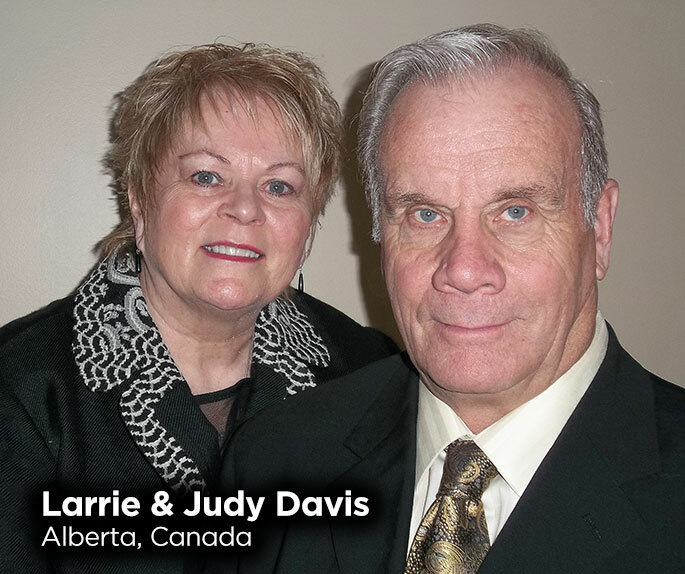 Judy Davis spent her entire life selflessly giving to others, so her husband Larrie Davis, a Primerica Regional Vice President in Alberta, Canada, devised a special way to honor his late wife, who passed away in May. He decided to recognize others who give of themselves like Judy did. The Davis’ town of Innisfail and their local Chamber of Commerce hold an awards gala once a year recognizing sports leaders and business leaders. Larrie decided to approach the committee and ask if he could sponsor an award on behalf of Primerica to recognize people in his community who selflessly give to others. “We selected recipients who are constantly doing things for other people,” says Larrie. 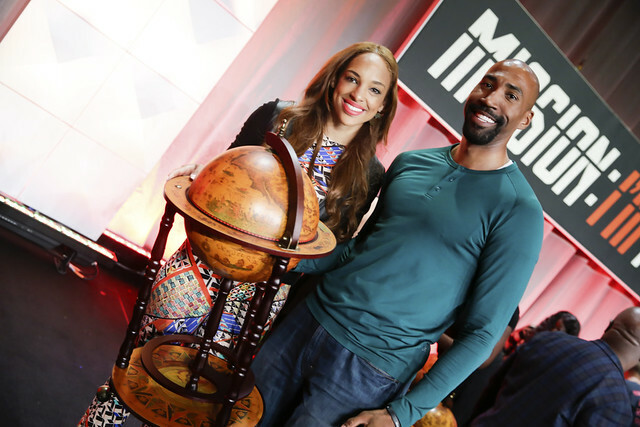 Read a local newspaper article about the award here. 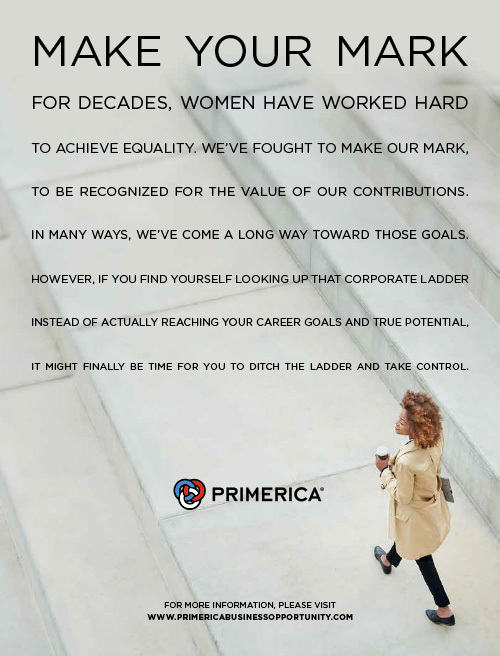 In this month’s full-page ad in Modern WomanMagazine by USA Today, Primerica champions our business opportunity as a way for women to ditch the corporate ladder and make their mark! All across North America, women are using their Primerica business to have flexibility in their family life and a fulfilling career. Here, they found a level playing field, a place where their contributions are valued and their leadership recognized. A place where their income is based solely on the number of families they help. Primerica is proud of the incredible women leaders in Primerica who are making their mark every day. Check your local newsstand to buy your copy, today!